On June 9, 2016 while out Free Range running the WooFPAK, the WooFDriver saw these beautiful flowers in the field! The Ox-Eye Daisy(Leucanthemum vulgare) is a common wildflower that grows in fields and meadows. This perennial grows one to three feet high and can spread a foot wide. In some habitats it is considered to be an invasive species. Wikipedia’s Webpage to learn more about this beautiful flower! 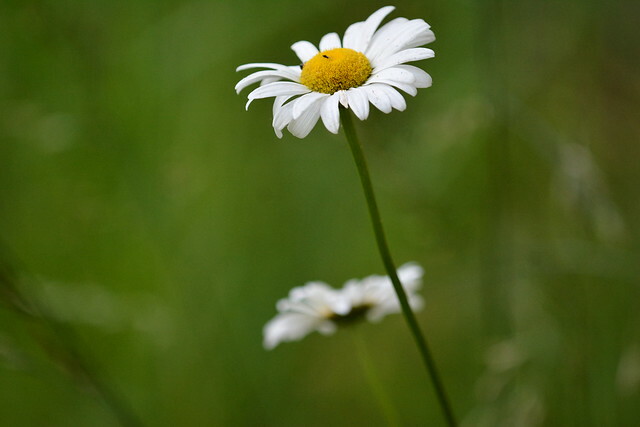 Enjoy this photo album of Ox-Eye Daisies the WooFDriver captured!